If you feel inspired to participate in any sporting activity, it’s important to keep well hydrated, especially if you are: sweating away in a poorly ventilated gym; lobbing a shuttlecock over the net in a sports hall; cycling up and down the hills and country lanes; hiking in the wilderness; scoring goals on the football (soccer) pitch or netball/basketball hoops. In fact, keeping well hydrated daily is a must, even if you are not particularly active. Drinking water regularly as been shown to: increase energy, relieve tiredness, boost the body’s immune system, improves the skin, promotes weight loss (water has zero calories! ), aids digestion, relieves cramps and headaches. Schools in the UK encourage children to take in a water bottle to use and sip throughout the day to help them keep alert and use those brain cells. 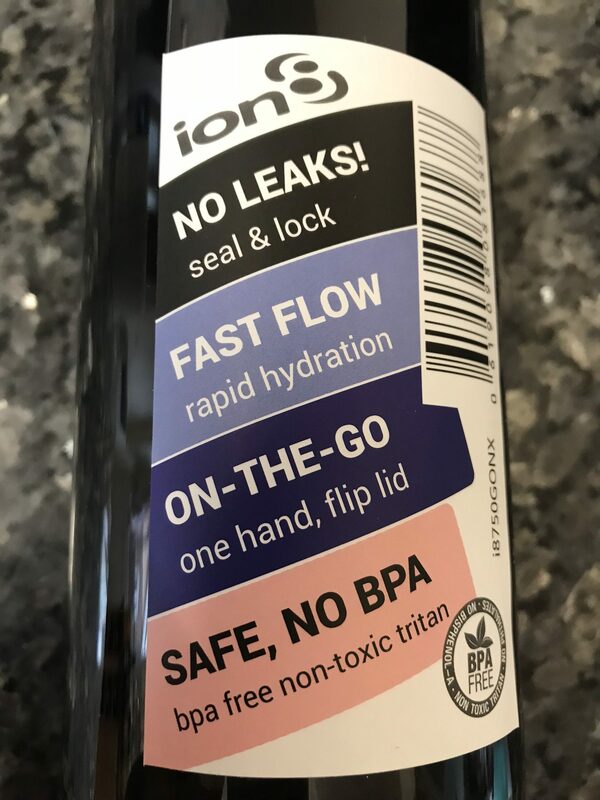 Having 5 children and an active cycling mad husband, I have a drawer full of water bottles – not all are the same and when I was given by ION8 their water bottle to review, I was looking forward to seeing if the ION8 stands up to my family’s scrutiny! 1. NEEDS TO BE REUSABLE & ENVIRONMENTALLY FRIENDLY. 2. NEEDS TO BE STYLISH. ION8 comes with a tough carry strap, but I did not test the strap. 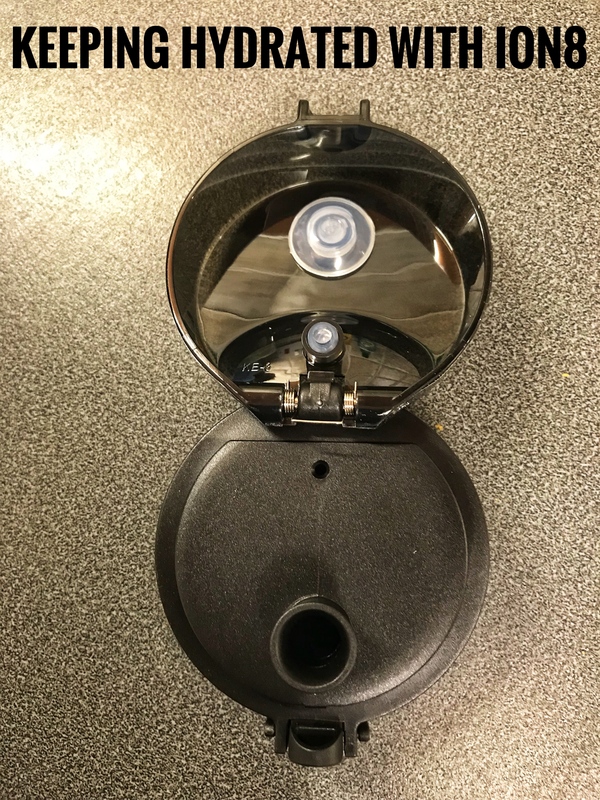 Another difference is that the spout is at the side and not in the centre like most water bottles. Drinking out of the water bottle is like drinking out of a cup – you need only to tilt the bottle slightly. 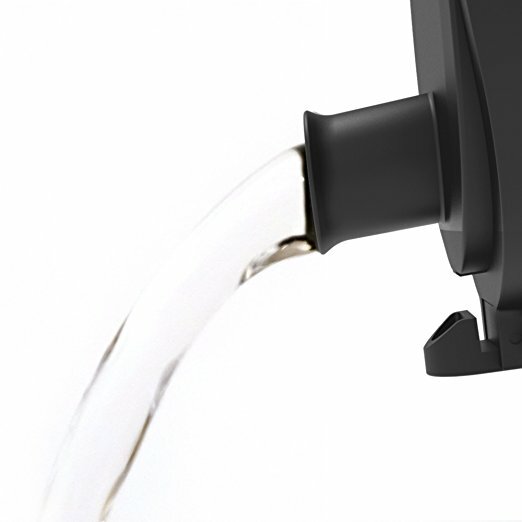 The aperture on the ION8 spout is wide to allow a uninterrupted flow of water. 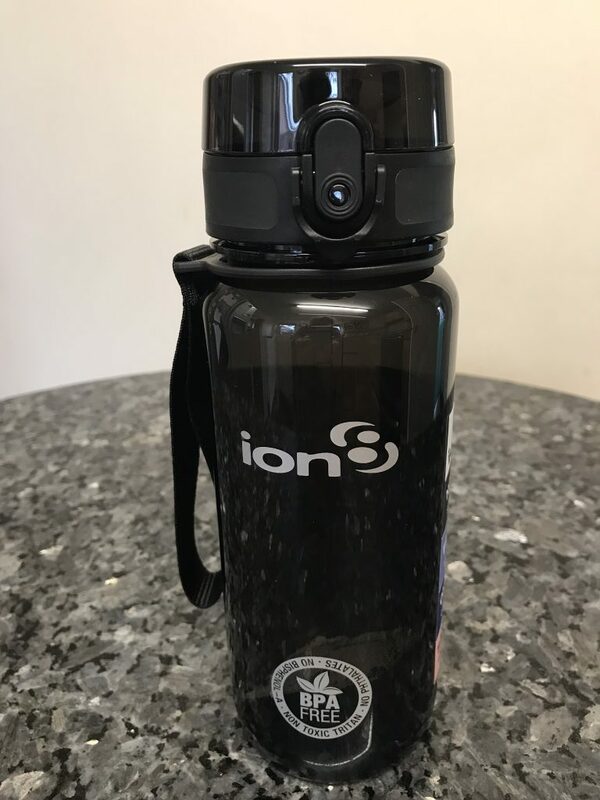 Water bottles, including the ION8, do not have thermal properties, such as keeping a hot drink hot or a cold drink cold – but the ION8 is capable of holding cold beverages as low as -10C as well as hot beverages up to 96C. ION8 is available to buy via Amazon UK, Amazon USA, Amazon DE (Germany); Amazon ES (Spain); Amazon IT (Italy); Amazon FR (France). 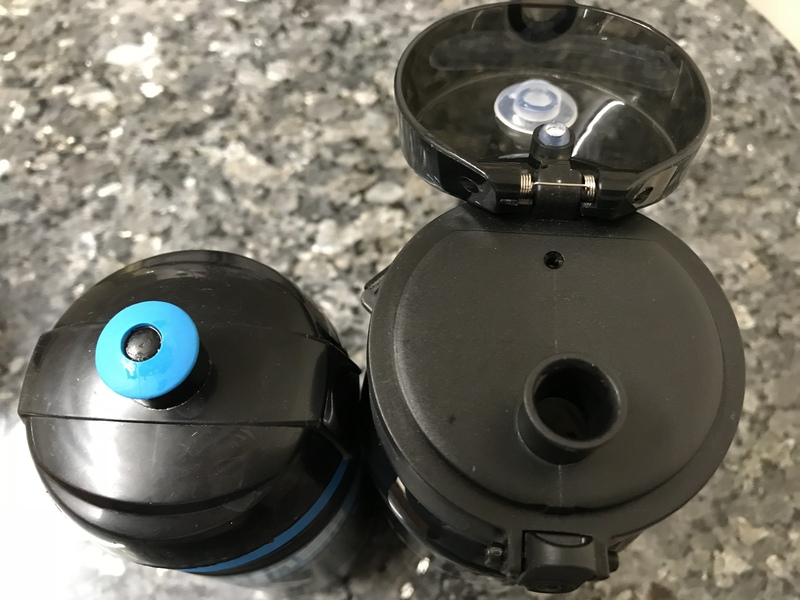 Disclaimer: ION8 sent me the ION8 water bottle to review. All views are entirely my own (and Jack’s). 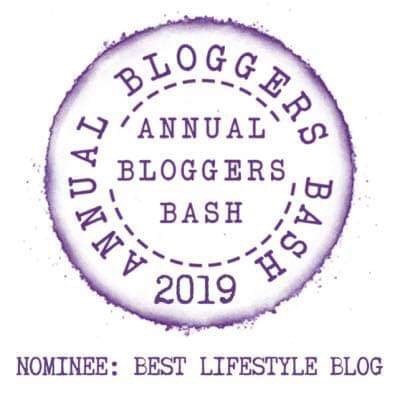 All photographs are by Linda Hobden.